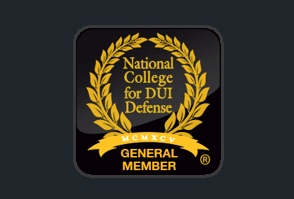 If you, or somebody you know, is accused of drunk driving (aka DUI or OWI) in Ludington, MI, or Mason County, our DUI defense team has put together the following Mason County drunk driving information page. If you have any questions, please feel free to call the Ludington DUI defense lawyers at Springstead Bartish & Borgula Law for more information @ (231) 924-8700 or (616) 458-5500, who are experienced in defending DUI’s in Mason County, having defended hundreds of DUI’s in originating in Ludington, Scottville, Custer, Hamlin Lake, including a groundbreaking DUI case in which Attorneys Gary Springstead and Michael J. Nichols forced the Michigan State Police to develop and disclose an uncertainty estimate (sometimes referred to as an error rate) for a blood test in a DUI prosecution. Mason County is a rural county in the northern corner of West Michigan along the eastern shore of Lake Michigan. The cities include Ludington, the biggest city in Mason County, county seat and home of the courthouse and jail, Scottville, and Custer. Because Mason County is a rural county, the Michigan State Police and Mason County Sheriff’s Department supplement the small city police departments in Ludington and Scottville. In addition, the Department of Natural Resources (DNR) patrols the Ludington State Park and is active in that park. Like many rural counties and small towns, the police are keenly focused apprehending drunk drivers, and many out of town vacationers are unpleasantly surprised by this fact. (Click here for a searchable database of drunk driving arrests per county). Like many of the other rural county jails in West Michigan, the staff at the Jail are nice, professional and accommodating to attorneys. The Jail does not have a website at this time. BOND—According to Michigan law, a person can only be held in jail for 28 days on a misdemeanor arrest and will be automatically released thereafter, unless there is some other reason to detain the person such as a probation/parole violation or bond violation. Bond is set either by the Magistrate, Patricia “Paddy” Baker, or District Court Judge Peter J. Wadel. Bond can be posted either at the courthouse or the Jail. If you are charged with drunk driving (DUI) in Mason County, you will appear in the 79th District Court in Ludington, Michigan, regardless of whether it is a misdemeanor or felony DUI. If you are charged with drunk driving (DUI) in Mason County, you will appear in the 79th District Court in Ludington, Michigan, regardless of whether it is a misdemeanor or felony DUI. The Honorable Peter J. Wadel is the District Court Judge, (pictured left from Mlive). Judge Wadel is regarded by attorneys who practice before him as a sharp, probing jurist with a good judicial temperament, who will give defendants their due consideration. He also handles some cases in Oceana and Lake County, filling in as needed. Drunk driving arraignments either take place at the courthouse or via video from the Mason County Jail. The Court will occasionally allow attorneys to waive arraignments. Pretrials are typically scheduled 2-4 weeks after arraignment. At the pretrial you or your attorney will meet with the prosecutor to discuss a resolution, but you will not necessarily be allowed to plead guilty on the same day as the pretrial. Thus, you will have to return for plea and sentencing, which the court typically handles in one court appearance, assuming you have completed your substance abuse evaluation. If you are charged with felony drunk driving (DUI) in Mason County and there is enough evidence for your case to go forward to felony court, you will appear in the 51st Circuit Court located on 304 E. Ludington Avenue, Ludington, MI. When appearing in court here you will go before Judge Susan Sniegowski (pictured left. Image from Shoreline Media). 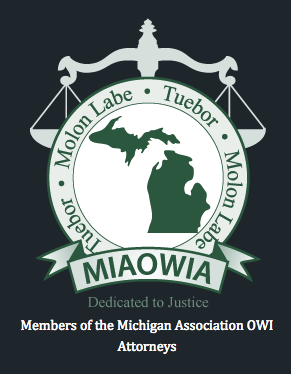 Judge Sniegowski was elected to the bench in November of 2014, following several years in private practice, serving as the City Attorney for the City of Ludington, and a term as the elected Prosecutor in Mason County. She is the first female ever elected to the bench in Mason County. Judge Sniegowski also serves as a “Trial Court” Judge in Lake County in addition to her duties in Mason County. Drunk-driving sentencing’s in Mason County, like many other counties, is handled on a case-by-case basis, though there are some general observations that can be made. First Offense DUI—A sentence for normal operating while intoxicated (OWI) or operating while visibly impaired (OWVI), where there is no significant criminal history, typically warrants a jail sentence of 1-2 days with credit for the time served immediately following the arrest. This means that in most cases, there is no additional jail time. Fines/costs range from $900-1,500, but the Court will give you time to pay that off. The Court usually orders the defendant to follow/complete the recommendations contained in the substance abuse evaluation, as a condition of probation, which is usually non-reporting probation for two years. Depending on the severity of a substance abuse problem, the Court might require a defendant to attend AA and submit to random PBT’s as well. The court reserves to the right to impose any remaining jail time (93 days max. under the law – 1-2 days actually imposed = 91 to 92 days of remaining jail time), if the defendant does not successfully complete probation, i.e., commits a new offense while on probation. Second Offense DUI—A sentence for a normal operating while intoxicated 2nd offense, without any significant criminal history, usually carries with it a jail sentence of 30 days, depending on how recently the previous offense occurred. The Court is usually willing to give day-for-day credit for in-patient treatment in lieu of jail time. Fines and costs rise to roughly $1,500. The Court usually orders the defendant to follow/complete the recommendations contained in the substance abuse evaluation, which are more intensive than a first offense, as a condition of probation, which is usually non-reporting probation for two years. Like a first offense, the court reserves to the right to impose any remaining jail time, if the defendant does not successfully complete probation, i.e., commits a new offense. Third Offense (Felony) DUI—A defendant facing his/her first felony DUI in Mason County, without any other significant criminal history, can expect a sentence of three to six months in the county jail from Judge Cooper. As with any felony, there will be considerable fines/costs, probation, rehabilitation services, vehicle immobilization, and strict court-supervised monitoring following any incarceration. Mason County does not have a sobriety court. If you or somebody you know, is facing any type of drunk-driving charge in Mason County, call the Mason County DUI defense attorneys at Springstead Bartish Borgula & Lynch, P.L.L.C., for a free consultation. Call now (231) 924-8700 or (616) 458-5500.